How much more useful would Google Search results be if they displayed real-time content? For example, if you searched last week for information on the Amtrak crash in Philadelphia, it might have taken longer than your patience could handle before a news outlet had any up-to-the-minute information on it that would display as a news result in Google’s listings for that search. 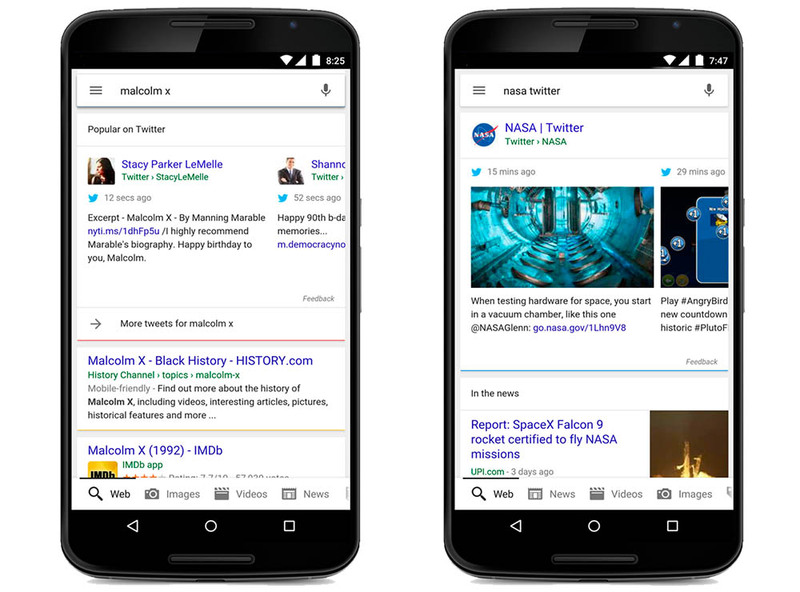 Starting today, that will no longer be an issue as Google has teamed up with Twitter to add Tweets to search results, giving you real-time info as it happens through the voices of those on Twitter. To see how Tweets will appear, check out the image at the top of this post. The new feature will be available starting today (with a slow rollout) in in English through the Google app on Android and iOS, and in mobile browsers. In the future, Google will add Tweets to search results in other languages and on the desktop. Tweets in Google Search results – good, bad, useful, or will they just clutter up your results list?